When I was young, my British mum cut her long hair. She had let her hair grow most of her life and it cascaded down her back to her rear. When she decided to cut her hair, she chose to get a graduated bob at the Vidal Sassoon salon on Maiden Lane in San Francisco. (This was around 1974). The cut epitomized elegant, hip modernity. And it has survived the test of time....as my mum continues wearing that style to this day. Left: October 1963 issue of British Vogue. 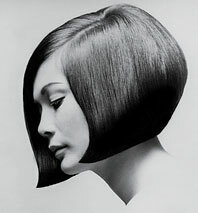 Actress Nancy Kwon with a Sassoon bob. 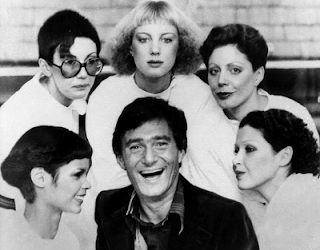 Vidal Sassoon died a week ago today. He was 84 years old. 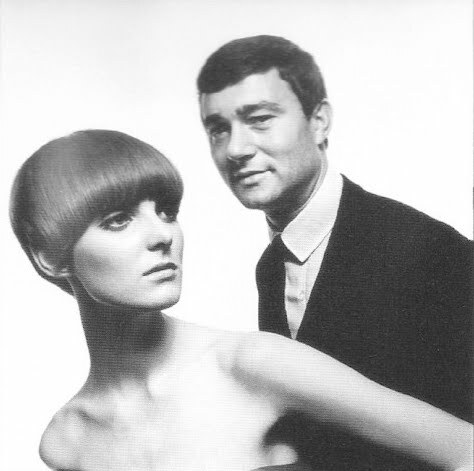 Sassoon was a elemental figure in the "Swinging London" scene of the 1960s, creating iconic looks such as the graduated bob (above left) and the five-point cut, sported by model (and current Vogue editor) Grace Coddington (above right). 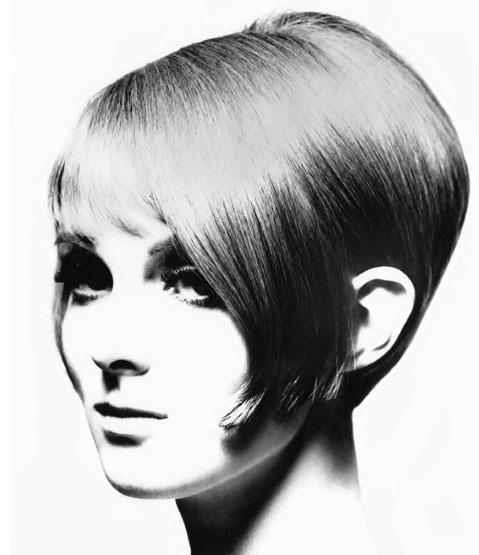 He transformed women's styles to such a degree that the designer Mary Quant donned him the "Chanel of hair." "His timing was perfect: As women's hair was liberated, so were their lives," Allure magazine Editor-in-Chief Linda Wells told The Associated Press in a written statement. "Sassoon was one of the original feminists." His hairstyles provide a remarkable legacy, but Sassoon also became a global success because he understood marketing. He developed hair care and styling products, opened salons in the US (and elsewhere), and established Vidal Sassoon Academies to teach aspiring stylists how to envision haircuts based on a client's bone structure. He also transformed the haircutting experience by making it glamorous. Sassoon founded a system of hair cutting that worked, and has lasted, because his hair dressers always take into consideration the person who will wear the style. They tailor looks to help realize a woman's beauty regardless of her age. "Actually short hair is a state of mind … not a state of age." This is precisely why his bob looked good on my mom, and continues to look good on her as she enters her 70s. Genius. "If you don't look good, we don't look good."